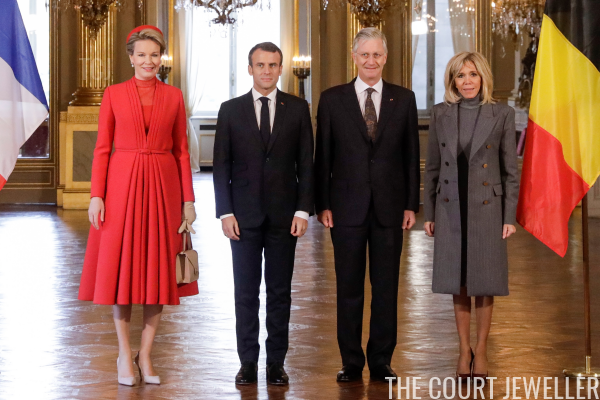 President Emmanuel Macron of France and his wife, Brigitte, are currently in Belgium for a two-day state visit. 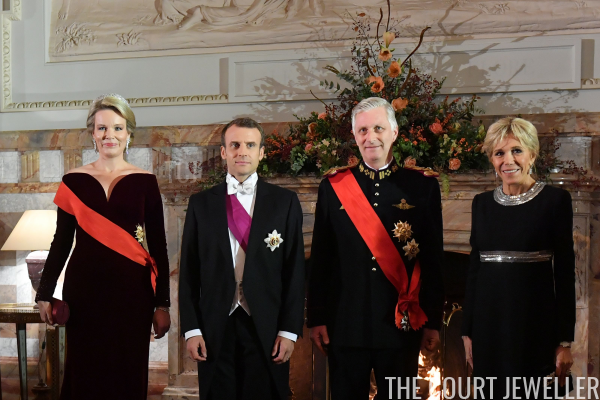 Here's a look at the sparkling jewels they wore for their first day of engagements, including the glittering state banquet! 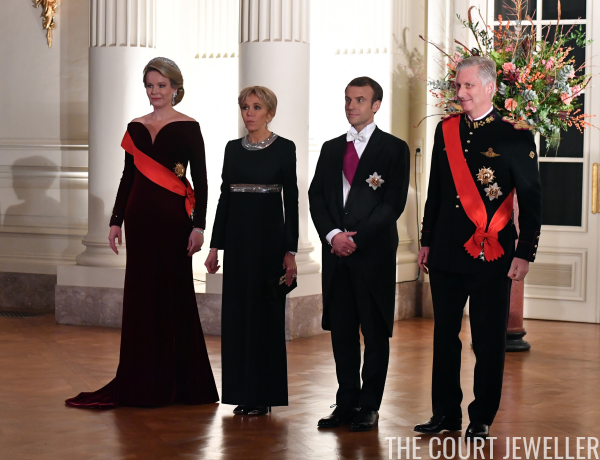 On Monday morning, the state visit began with an official welcome ceremony at the Royal Palace in Brussels. 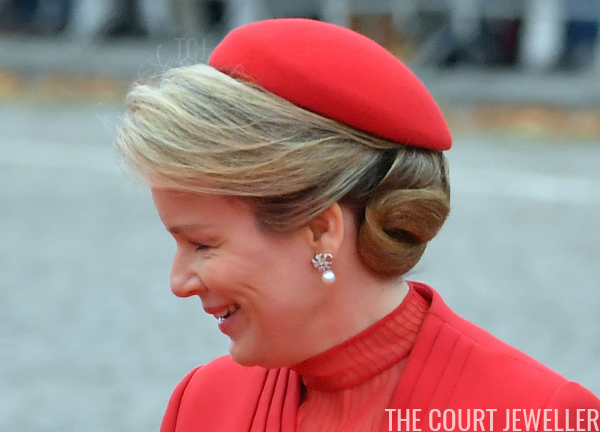 Queen Mathilde wore her gorgeous diamond and pearl wedding earrings for the welcome events. 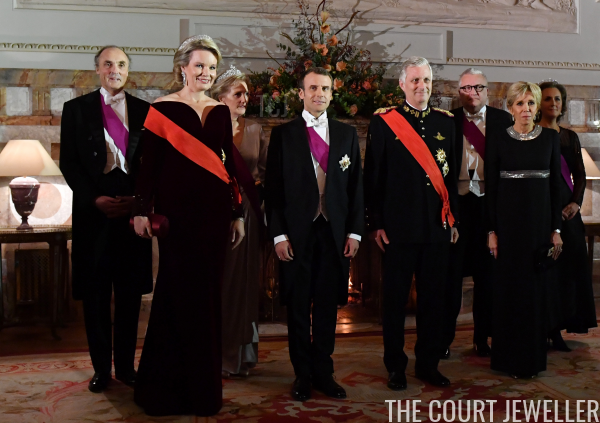 On Monday evening, the Belgian royals hosted a grand state banquet for their French guests. 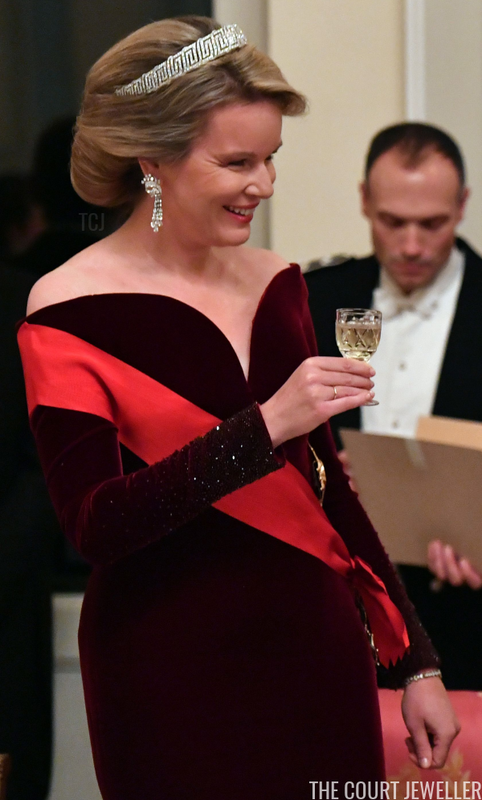 Queen Mathilde wore diamonds with her deep red velvet gown for the occasion. 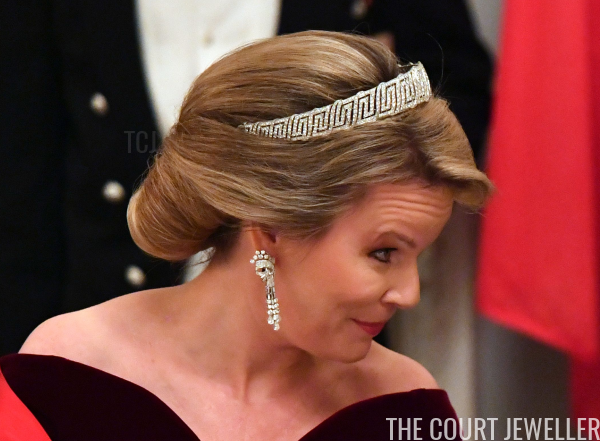 She chose the base of the Nine Provinces Tiara, pairing it with elaborate diamond ribbon and fringe earrings. 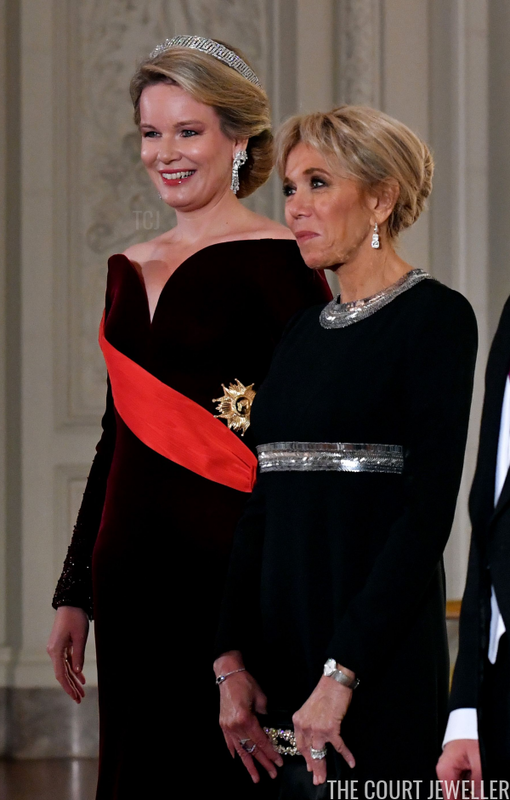 Madame Macron also wore diamonds with her evening gown. Here's a look at the full ensembles worn by each couple. A few more members of the royal family were also in attendance. 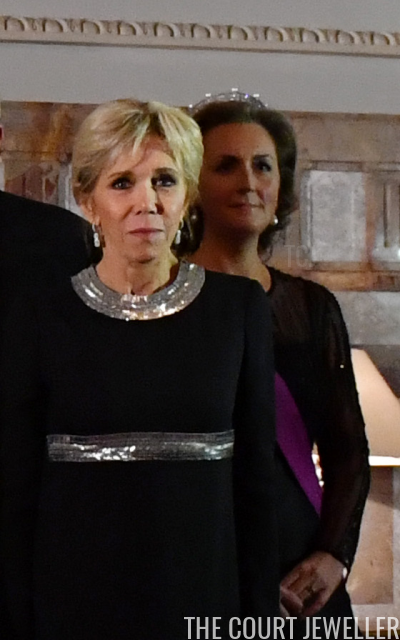 Princess Astrid, wearing the Savoy-Aosta Tiara, attended with her husband, Prince Lorenz. 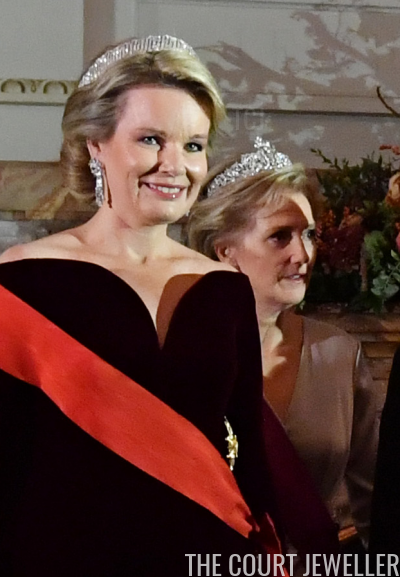 And Princess Claire, wearing her diamond and pearl tiara, was accompanied by her husband, Prince Laurent.